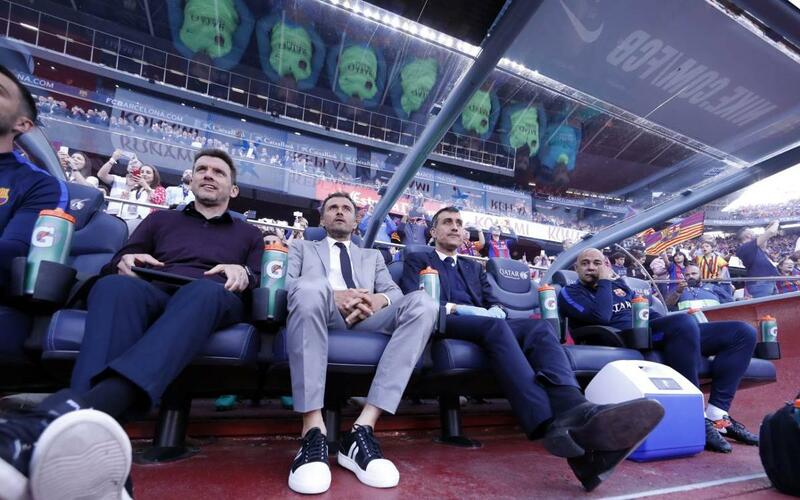 Luis Enrique may not have been able to celebrate a third consecutive Liga title on Sunday at the Camp Nou, but Barça at least got the job done against Eibar, cancelling out a two-goal deficit to end the league season with a spectacular run of twelve consecutive victories at the Camp Nou. A streak that goes all the way back to the 4-1 defeat of Espanyol in December amounts to the Asturian’s longest string of home wins in his three years in charge. After winning the derby, Barça welcomed Las Palmas, Athletic, Leganés, Sporting, Celta, Valencia, Sevilla, Real Sociedad, Osasuna, Villarreal and finally Eibar to their stadium, and not one of those teams left with a single point. It was only three shy of Barça’s best ever run of fifteen straight home wins under Pep Guardiola in the 2010/11 season. Home and away, it’s been an impressive run-in to the end of the campaign for the Catalans. Starting with the 3-2 win against Real Sociedad on April 15, they have taken the maximum 21 points from their last seven games, including the epic victory at the Bernabéu, a derby win at Espanyol and the seven-goal rout of Osasuna. Real Madrid may have ended up winning the league, but there can be no denying that Barça didn’t push them all the way to the end.